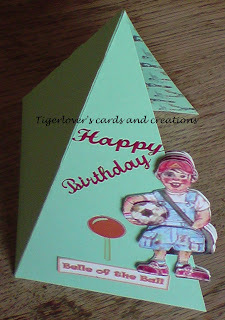 Hello everyone, here is my DT card for CRAFT Challenge 9, a shaped card. 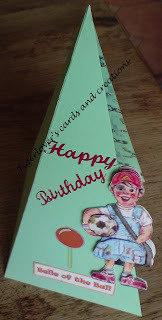 This is a card I made for my friend Emily, who loves playing football. She is a bit of a tomboy and proud of it. Hope you like it. 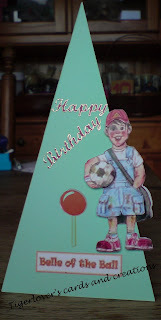 I used a Flippin' Kids image of a girl with a foot ball and used that on both the front and the back of the front of the card. 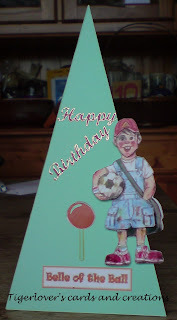 I used a triangle shape for the base of the card, that was printed with a football background from The Lilac Garden. 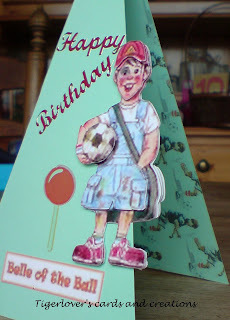 I added a Happy Birthday peel off to the front of the card, added a lollie pop sticker and the 'Belle of the Ball' sentiment. 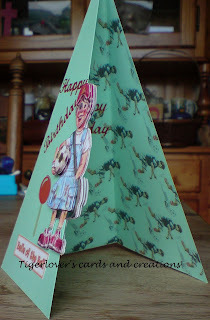 I hope Emily likes her card when she gets it this week. 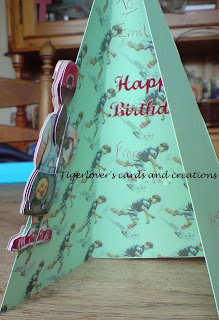 Thank you all for looking and do join us again at CRAFT Challenge this week. 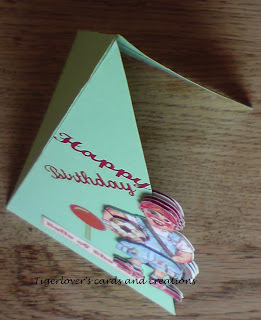 All comments are very welcome and much appreciated.